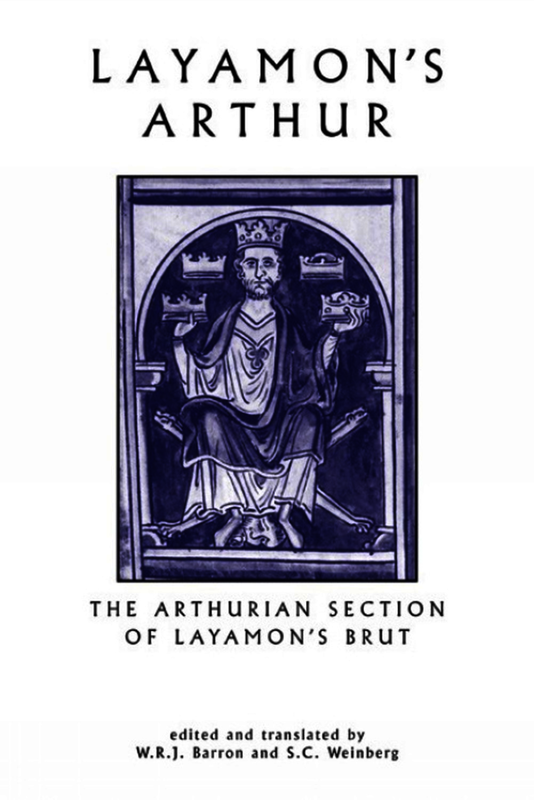 Layamon's Brut is a landmark in English literature, the first major work in English after the Norman Conquest, and the precursor of a rich Arthurian literature, from Malory to Tennyson and on to our own time. This edition combines a fully-edited version of the original text with a close parallel prose translation, together with a lengthy Introduction, textual notes and a full and up-to-date bibliography.Written c.1200-1220, the Brut develops the themes of its principal source, Robert Wace's Roman de Brut, itself a version of Geoffrey of Monmouth's bestseller, the Historia Regum Britanniae, in a metre and idiom reminiscent of Old English. It demonstrates the fundamental strength of a native culture which survived two centuries of French dominance to re-emerge as a fusion of a national tradition and continental influences. S.C. Weinberg is a senior lecturer in English Language and medieval English literature at the University of Manchester. Her other books include Poetry of John Gower: Selections (Carcanet, 1983). W.R.J. Barron was Senior Research Fellow in the School of English, University of Exeter. He was President of the International Arthurian Society (British Branch) and Director of its Vinaver Trust. His books include Sir Gawain and the Green Knight (Manchester, 1998) and Arthurian Literature in the Middle Ages, Vol. II (series editor)(Wales, 1999). S.C. Weinberg is a senior lecturer in English Language and medieval English literature at the University of Manchester. Her other books include Poetry of John Gower: Selections (Carcanet, 1983). The late W.R.J. Barron was Senior Research Fellow in the School of English, University of Exeter. He was President of the International Arthurian Society (British Branch) and Director of its Vinaver Trust. His books include Sir Gawain and the Green Knight (Manchester, 1998) and Arthurian Literature in the Middle Ages, Vol. II (series editor)(Wales, 1999). The late W. R. J. Barron was Senior Research Fellow in the School of English, University of Exeter. He was President of the International Arthurian Society (British Branch) and Director of its Vinaver Trust. His books include Sir Gawain and the Green Knight (Manchester, 1998) and Arthurian Literature in the Middle Ages, Vol. II (series editor) (Wales, 1999). S.C. Weinberg is a senior lecturer in English Language and medieval English literature at the University of Manchester. Her other books include Poetry of John Gower: Selections (Carcanet, 1983).